YouTube TV was introduced back in April with content from networks 35 of other cable networks for $35 per month. Using ChromeCast or another streaming device, you can stream the content from your mobile device to your TVs as well as there was no native YouTube TV app. Today the company has finally launched a proper Android TV app; the YouTube TV. The YouTube TV app is made for big screens eliminating the need for streaming through ChromCast. The new TV app works the same way as its mobile companion, but the interface is designed for bigger screens. You can access the library, add content to it and bring up the Live guide designed for big screens to know what’s airing soon and more all while your content is playing in the background. It even lets you continue where you left on another device. YouTube TV is now available in all top 50 metro areas in the USA, and it costs $35 per month. 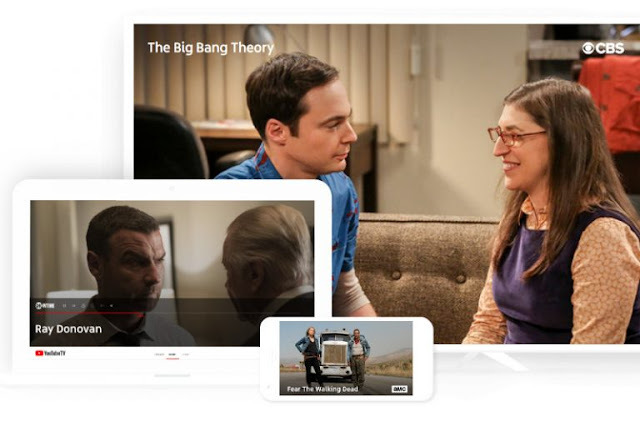 The YouTube TV application will be available on Android TV devices including NVIDIA SHIELD and TVs with Android TV built-in. In addition, it can be accessible on Xbox One, One S, and One X. The company says that it is planning on bringing the application to smart TV’s made by LG, Samsung, Sony, and also the Apple TV.